For decades, the dream of quantum computing – a system that makes direct use of quantum-mechanical phenomena, such as superposition and entanglement, to perform operations on data- has been just that. Much the same is true of principles that expand on this concept, such as quantum encryption and a quantum internet. But thanks to ongoing studies and experiments by researchers and scientists, that dream may be closer to fruition than ever. This time the progress comes from a research team out of Professor Nicolas Gisin lab’s in the physics department at the University of Geneva. 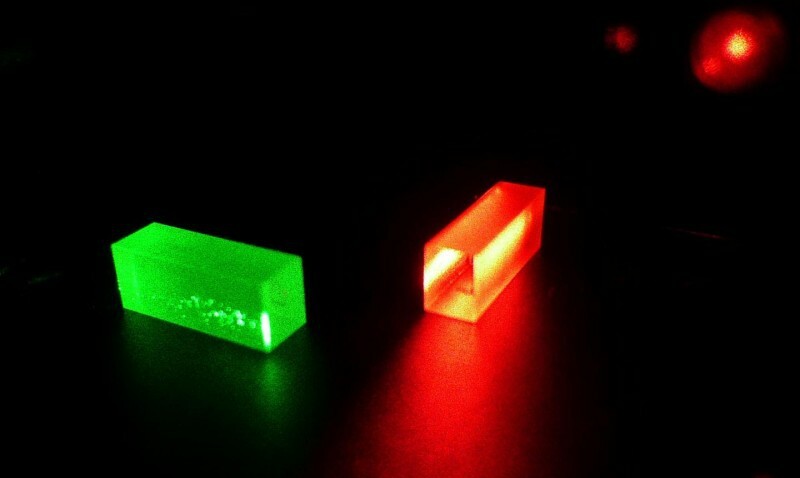 The team achieved the teleportation of the quantum state of a photon – this time, the photon’s polarization – to a crystal-encased photon more than 25 kilometers (15.5 miles) away. The distance breaks the previous record of 6 kilometers (3.7 miles) set 10 years ago by the same team using the same method. 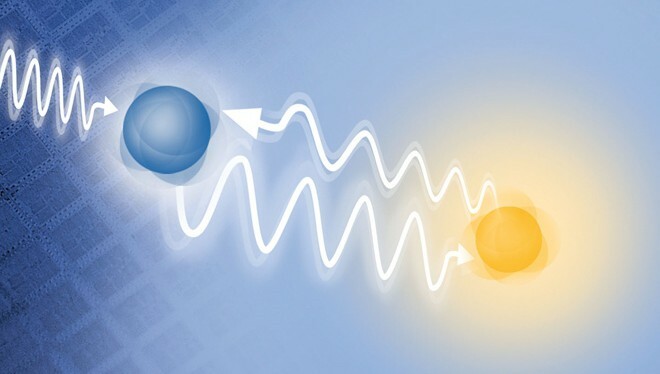 This is the latest in a series of experiments the group, led by physicist Félix Bussières, have conducted over the last decade in an effort to better understand quantum data transfer. In this particular experiment, the researchers stored one photon in a crystal, essentially creating a solid-state memory bank. They sent another photon of a different wavelength 25 km away through optical fiber, whereupon they had it interact with a third photon. It is a bit like a game of billiards, with a third photon hitting the first which obliterates both of them. Scientists measure this collision. But the information contained in the third photon is not destroyed – on the contrary it finds its way to the crystal which also contains the second entangled photon. 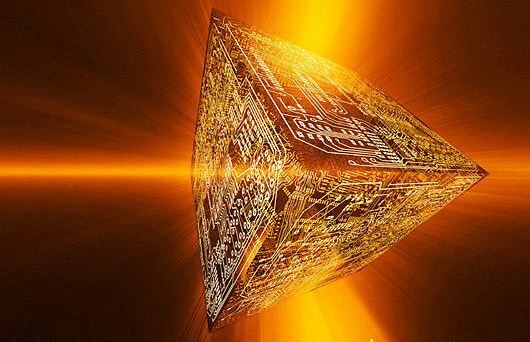 This is all in keeping with the concept of quantum teleportation – the moving of quantum data from one location to another without having to travel the distance between them. That means that the speed at which data moves isn’t necessarily limited by the constraints of space and time. In that sense, it’s easier to think of this kind of teleporting not as a “beam me up” scenario, but as a kind of instantaneous awareness between two points. While this may not sound as exciting as Ursula K. Le Guin’s Ansible communicator, the Alcubierre warp drive, or the “Star Trek”-style transporter, it opens up startling possibilities. For instance, in addition to bringing us closer to hard drives that can store quantum bits (aka. 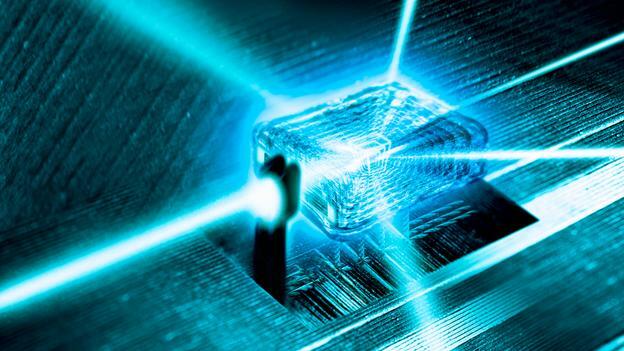 qubits), this is a major step in the direction of a quantum internet and encryption- where information is sent around the world instantaneously and is extremely secure. This also opens doors for space exploration, where astronauts in space, rovers on Mars, and satellites in deep space will be able to communicate instantly with facilities here on Earth. 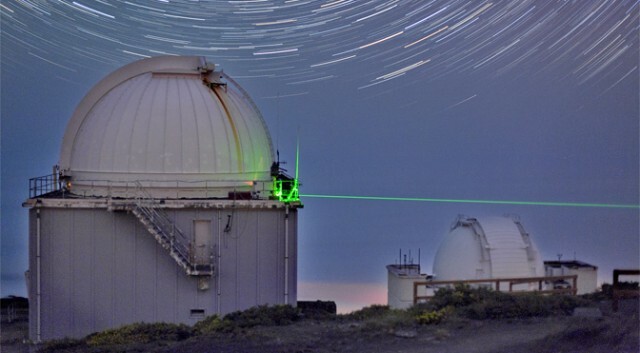 For non-quantum physicists, the novel aspect of this experiment is that the team achieved teleportation of data across the kind of optic fiber that forms the basis of modern-day telecommunications, which means no major overhaul will be needed to make quantum internet a reality. As physicists continue to push the boundaries of our understanding about the quantum world, we’re getting closer to translating these kinds of advancements in market applications. Already, quantum computing and quantum encryption are making inroads into the sectors of banking security, medical research and other areas in need of huge computing muscle and super-fast information transfer. With the rise of a potential quantum Internet on the horizon, we could see the next jump in communication happen over the next couple of decades. So while we’re a long way off from trying to pry quantum teleportation and entanglement from the grip of the theoretical realm, scientists are making headway, if only a handful of kilometers at a time. But every bit helps, seeing as how routing stations and satellites can connect these distances into a worldwide network. In fact, research conducted by other labs have not only confirmed that quantum teleportation can reach up to 143 km (89 miles) in distance, but that greater and greater properties can be beamed. This distance is especially crucial since it happens to be close to what lies between the Earth and a satellite in Low-Earth Orbit (LEO). In short, we humans could construct a quantum internet using optic cables or satellites, mirroring the state of telecommunications today. And when that happens, get ready for an explosion in learning, processing and information, the likes of which has not been seen since the creation of the printing press or the first internet revolution!